"Industrial Laser Solutions for Manufacturing"
Free Digital Subscription: "Industrial Laser Solutions for Manufacturing"
Reflects the rapidly changing arena of applications of industrial lasers. Read how industry experts, industrial laser users, and laser systems and component makers find the laser to be a cost-effective solution to many manufacturing problems. 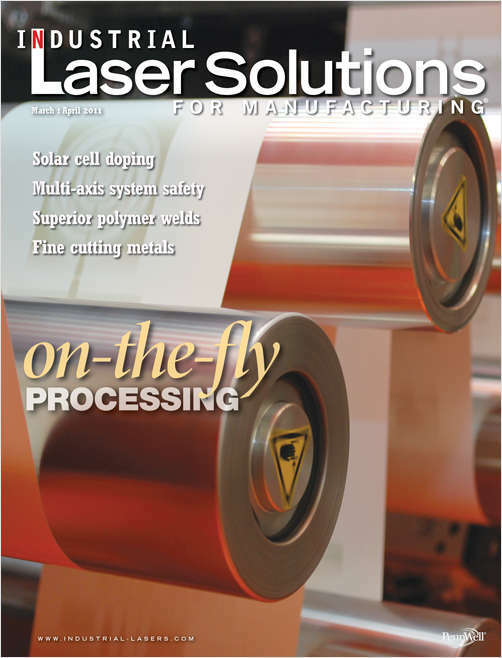 Do you wish to receive a FREE digital subscription to Industrial Laser Solutions for Manufacturing? Do you currently purchase, use, or plan to purchase or use laser components or systems for industrial applications? Which of the following best describes your business or industry? Complete and verifiable information is required in order to receive this subscription. • Geographic Eligibility: USA, Mexico & Selected International. • The publisher determines qualification and reserves the right to limit the number of free subscriptions.